After many moths of neglecting my Dear Jane quilt I finally got some blocks put together for the July meeting. Here are each of my blocks. 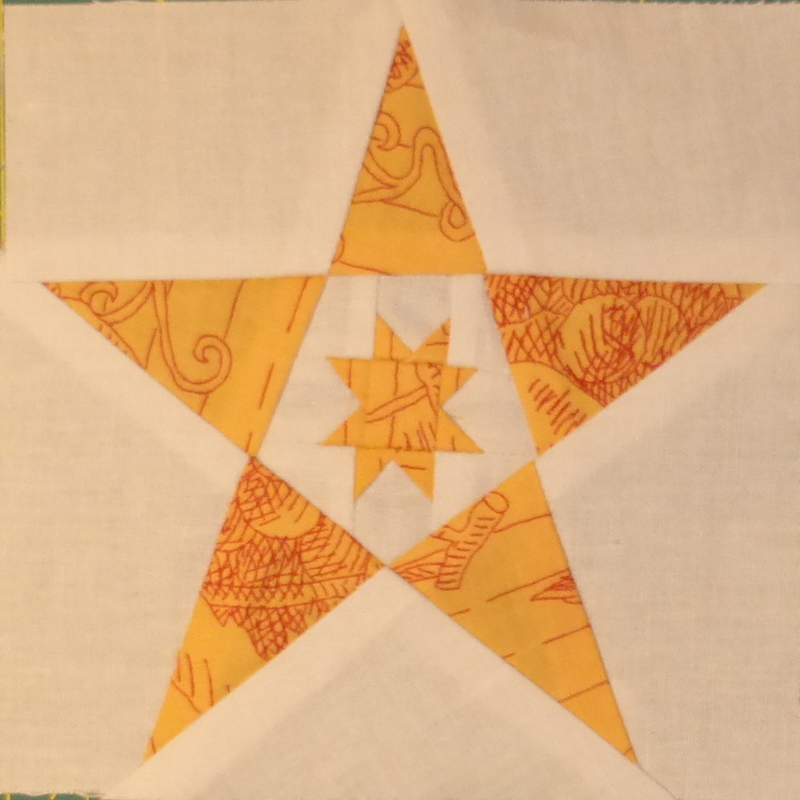 The Star block was a bit of a challenge, but the method we used for the center was to fold a little square in half which worked out wonderfully. I did have a bit of a hard time getting one of the background pieces lined up correctly when paper piecing the star. After ripping out three times I grabbed a 6″ width of fabric strip, placed the paper on top off that and ran it through the machine. 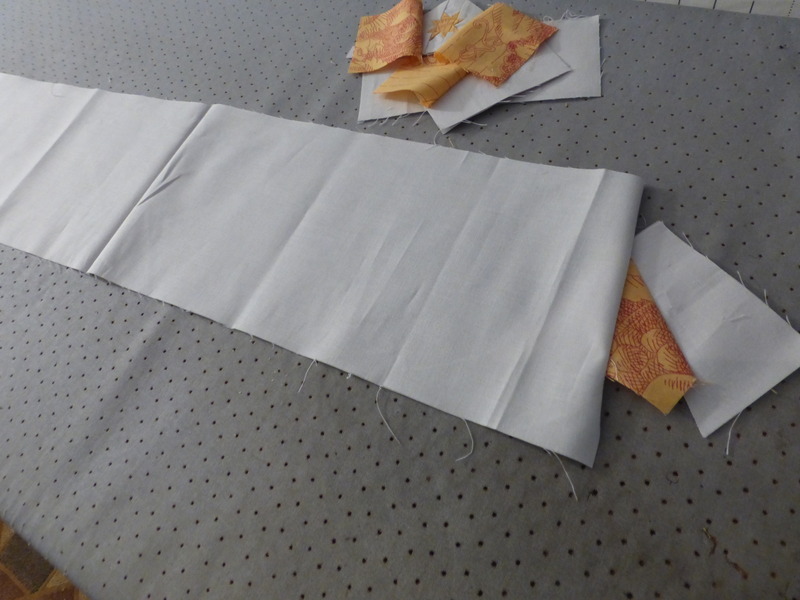 Plenty of room and no wasted fabric after I trimmed it … how’s that for a new paper piecing method! 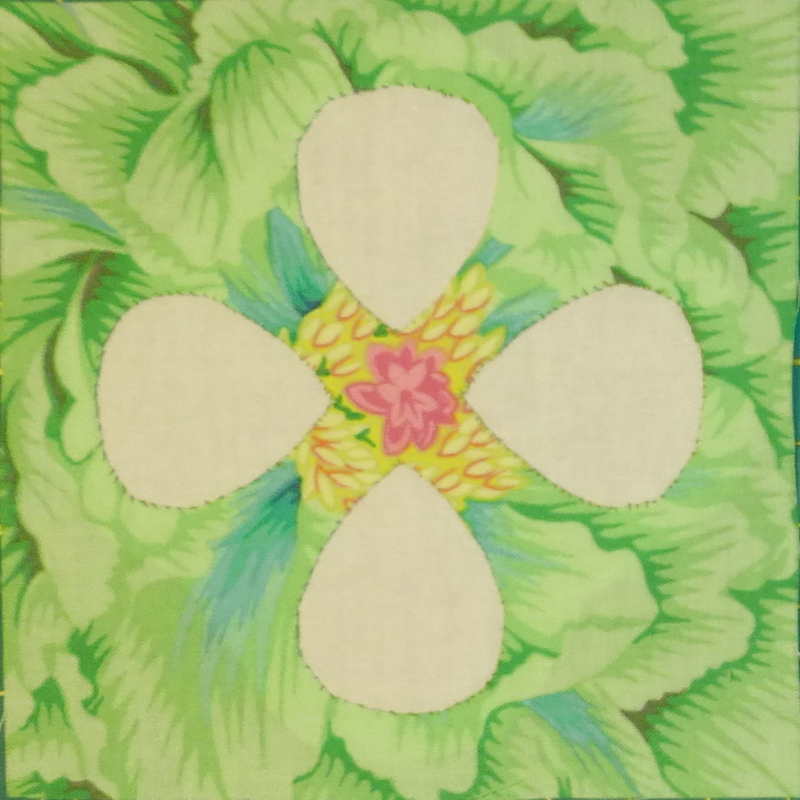 This entry was posted in and Other Stuff, Applique, Dear Jane and tagged applique, dear jane, kaffe, kaffe fassett, paper piecing, quilt, Quilters Common on July 3, 2014 by pmegio. I did manage to get a couple of months behind on Jane, but I got five blocks done for the March meeting. Five more and I will have 50 blocks. The group at Quilter’s Common has been meeting for one year now. Three more years and I might have a quilt top! I don’t think I will catch up for awhile, but I hope I don’t get further behind! This entry was posted in Applique, Dear Jane, Quilts and tagged dear jane, kaffe, modern on March 7, 2014 by pmegio. I am now up to date with my Dear Jane Blocks. This month I was working with my Singer 301 Sewing Machine which just got cleaned and had some adjustments made. It is such a nice machine. It has a great stitch and is amazingly light. Perfect for taking to class. I also wanted to comment on this month’s triangle block. Instead of appliqueing the curved piece on the bottom I decided to just sew it on with the machine because it is not much of a curve. And I cheated with the little melon. Yes, I did. It is fused in place with steam a seam and machine stitched around the edges. I think this will be just fine. After all, this is a MODERN Dear Jane quilt, so I am using as many modern techniques as I can! This entry was posted in Applique, Dear Jane, Quilts and tagged 301, applique, block, dear jane, fassett, kaffe, kaffe fabric, kaffe fassett, machine, modern, quilt, raw edge, sewing, singer on November 7, 2013 by pmegio. Good Grief. It’s nearly the end of August and I still haven’t shared my Dear Jane Blocks. 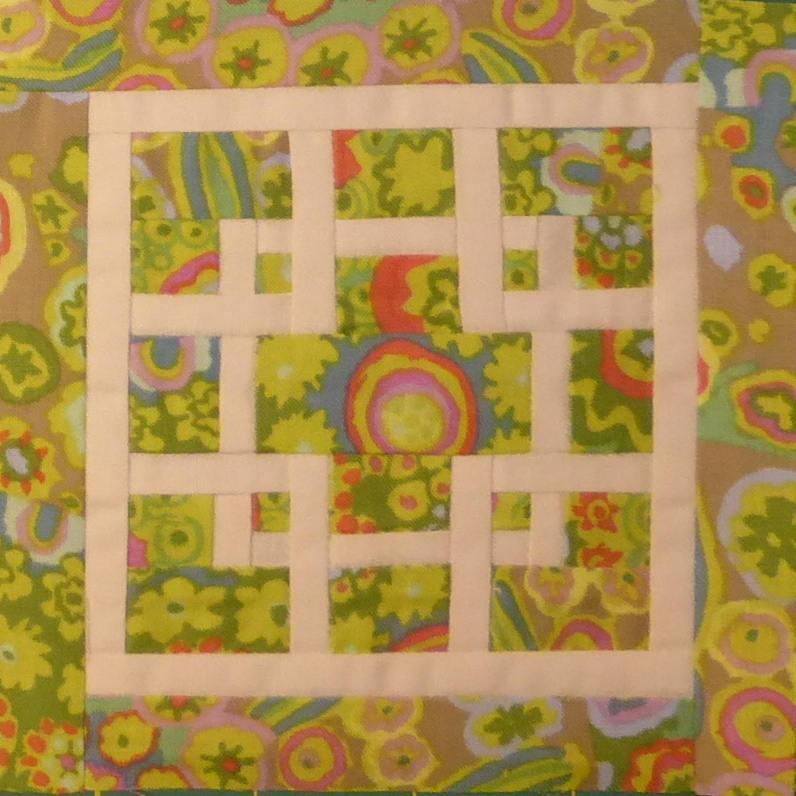 I enjoyed putting these blocks together … not too much applique this month. Just the handle of the basket, which I did by machine. Not sure if that was a good idea or not, but it looks okay. I used steam a seam and ironed the handle in place and then machine sewed along the edges. This entry was posted in Applique, Class, Dear Jane, Patterns and tagged applique, block, dear jane, kaffe, kaffe fassett, modern, month, quilt on August 25, 2013 by pmegio. Here are my latest Jane blocks. Three of the five blocks are purple this month as indicated in my plan for the quilt .. a rainbow scheme starting with green in the middle, followed by yellow, etc. I still love working with the Kaffe Fassett and Philip Jacobs fabrics. You can use the large scale fabrics and pick sections to work with. The blocks seemed fussy to me this month, but maybe it was me! The reverse applique is the most trying. Hard to get the corners sewn without the raw edges poking out. I think I need most improvement in that area and will not doubt get the opportunity to do so in the next few years of my Jane Journey! 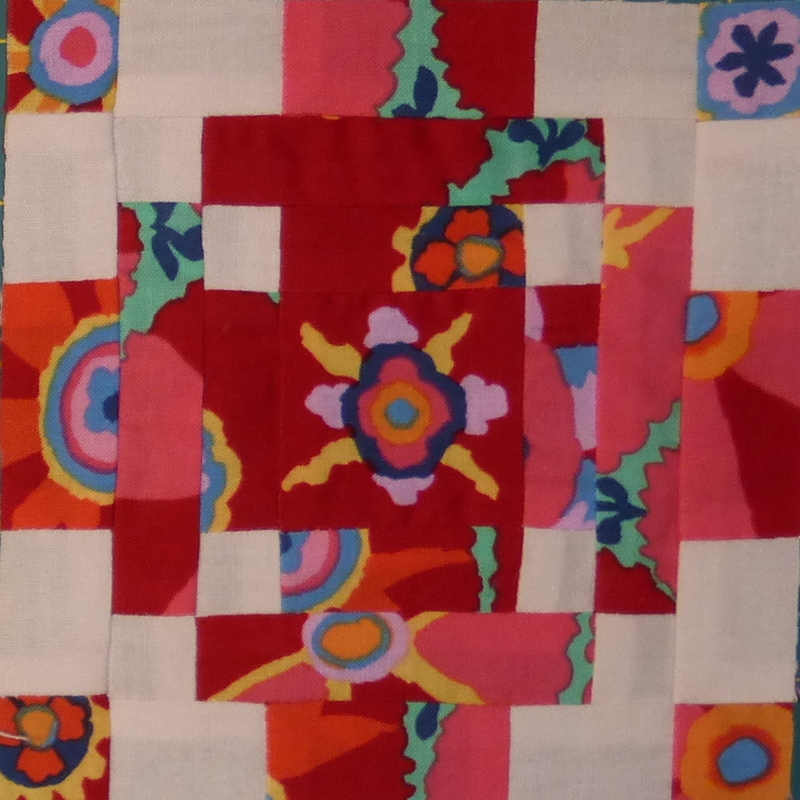 This entry was posted in Applique, Dear Jane, Patterns, Quilts and tagged applique, block, dear jane, fassett, kaffe, kaffe fassett, modern, month, pattern, philip jacobs, quilt on July 5, 2013 by pmegio. I have finished my Dear Jane blocks for Tuesday night’s meeting. I am enjoying this quite a bit …. so far! I love the fabric I am working with and the fact that each block is so different. This month I had two rotary cut and pieced blocks, two paper pieced blocks and one applique block. The paper pieced blocks are the fussiest, but the triangle block went together pretty quickly. Take a look at the May blocks. 10 done 215 to go! This entry was posted in Applique, Dear Jane, Patterns, Quilts and tagged applique, block, dear jane, fassett, jane, kaffe, modern, month, pattern, quilt on June 2, 2013 by pmegio. Despite all of the projects I am working on, I could not resist signing up for the Dear Jane quilt group at Quilter’s Common. 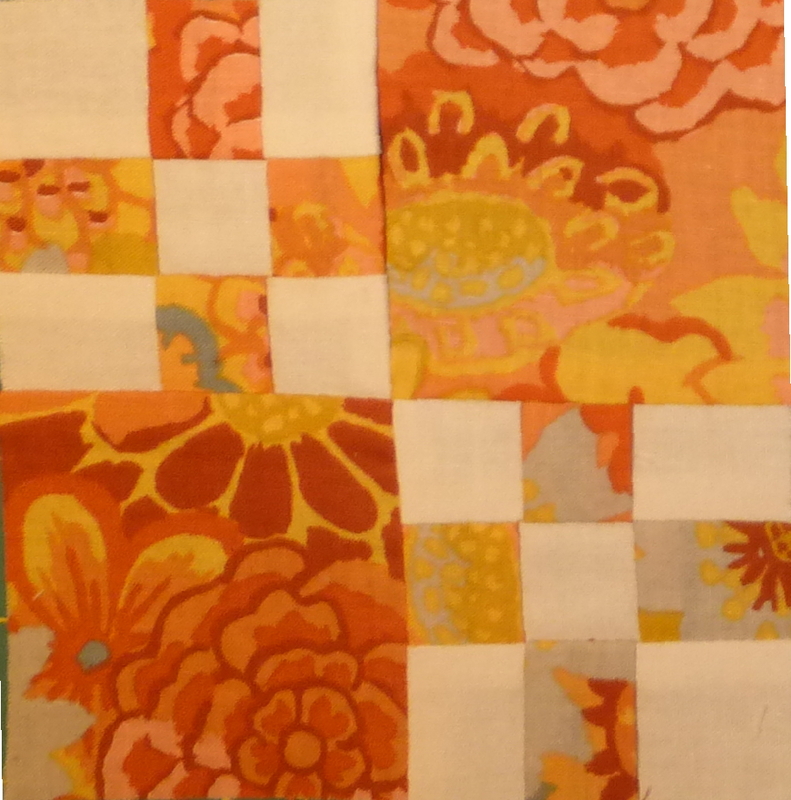 I started a Dear Jane quilt a few years ago using reproduction fabrics but I only got four blocks done before I gave up on the idea. 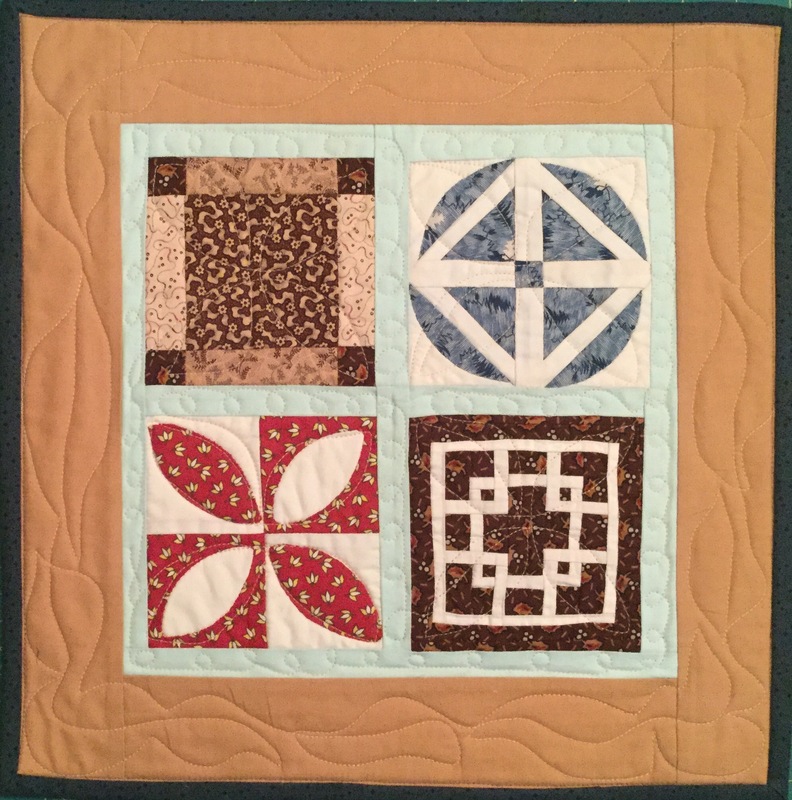 This time around I am feeling more confidant with a few more years of piecing experience and a sewing machine (Bernina 830) that makes it a lot easier to be precise … which is absolutely necessary with these small 4 1/2″ blocks . I have decided to go with modern fabrics this time and I am using a pale gray fabric for the background. I have a collection of Kaffe Fassett fabrics and also just purchased three sets of 6 1/2″ squares of Kaffe and Philip Jacobs fabrics. 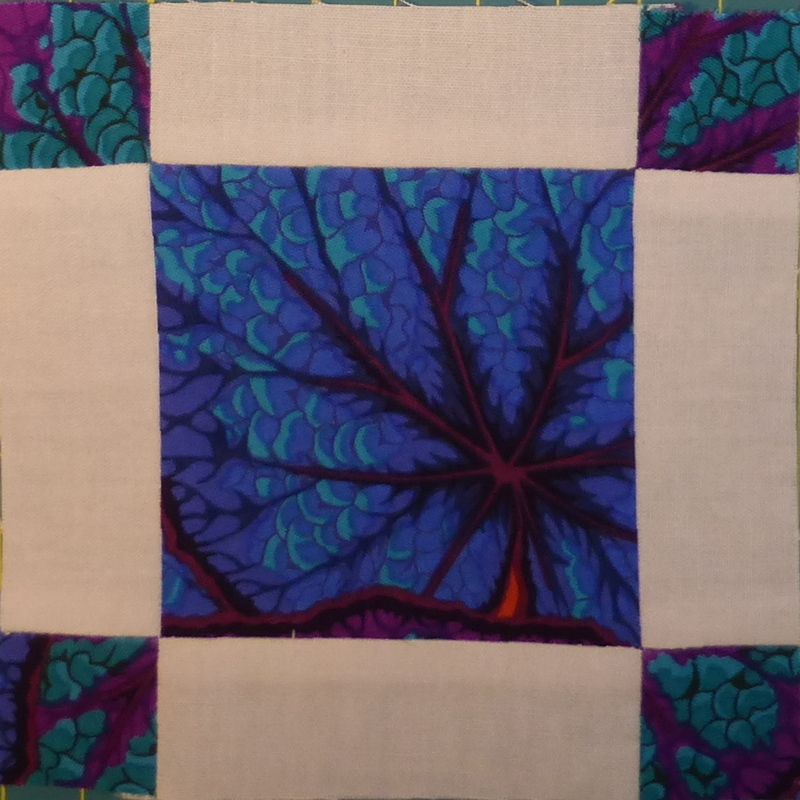 I think the 6 1/2″ squares will be perfect for the Dear Jane blocks … 5″ squares would be too small for the blocks that require 2 or more 2 3/4″ square pieces from the same fabric. I am already ahead of my first attempt attempt at Dear Jane. I have finished four squares and a triangle. I make no promises about keeping up with the pace and I don’t plan to make this a Dear Jane Blog … but, I will post updates as I go along! This entry was posted in Applique, Class, Patterns, Quilts and tagged applique, bernina, block, dear jane, fassett, jacobs, kaffe, modern, month, pattern, philp, quilt on May 4, 2013 by pmegio.